Decades of conflict and political instability have all but destroyed Afghanistan's once-thriving heritage and tourism industry, but new efforts are being made to promote the country's spectacular riches. A trickle of overseas visitors was recorded last year although many Western governments, including the U.S., advise against travel to the country. 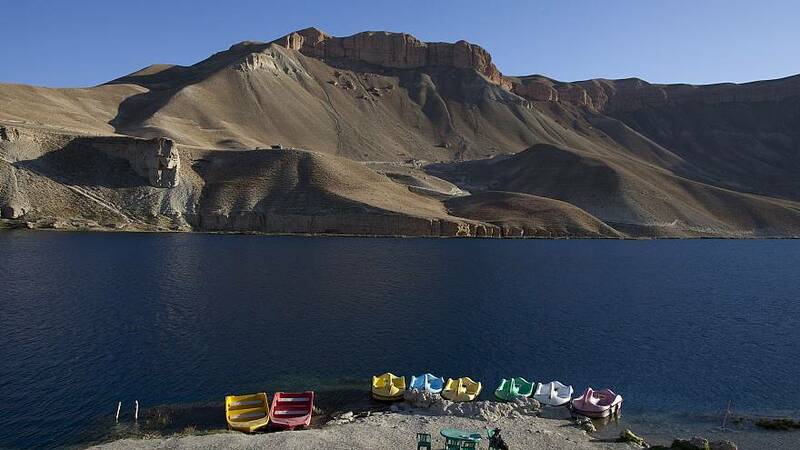 Among Afghanistan's top attractions is Band-e-Amir, the country's first national park, created in 2009. Home to six stunning turquoise lakes nestled within the dramatic barren landscape of the Hindu Kush mountain range, it is also leading the way on conservation and women's rights issues. "Band-e-Amir is one of the most extraordinary sites of natural beauty anywhere in the world," said Jonny Bealby, founder of adventure travel company Wild Frontiers, who took 20 tourists to Afghanistan in 2015. "Afghanistan as a whole has some wonderful scenery but nothing is more spectacular than the lakes of Band-e-Amir." It is located in the central province of Bamiyan, which made international headlines in 2001 when the Taliban blew up two giant statues of Buddha that had towered over the ancient city of the same name for centuries. Fifteen years on, the valley was made a Unesco World Heritage site and the region is one of the safest in a country still rocked by deadly bombings. It is also one of the most progressive, hosting the country's only mixed-gender sporting event: the annual Bamiyan Marathon and 6-mile race. Four of the park's rangers are women and over 20 percent of the management at Band-e-amir Community Council and the Wakhan Pamir Association, which governs the park, is female. That compares to only 9.9 percent of decision-making positions in Afghanistan's government and NGOs being held by women. Bamiyan is also trying to position itself as a destination for winter sports through the Afghan Ski Challenge, which in 2015 saw 20 international competitors, including from the from the U.S., Australia and France, race alongside 30 Afghan participants. The efforts seem to be paying off, with the number of tourists to the province surging to 250,000 so far this year — up from 100,000 last year — the region's acting director of information and culture told the Institute for War and Peace Reporting last month. However, almost all the visitors were local with only a handful — 396 — coming from overseas. James Wilcox, one of the co-founders of the Bamiyan Marathon, has been taking tourists to Afghanistan for years with his travel company, Untamed Borders. This year, it organized 35 trips there including trekking and cultural tours, as well as skiing trips. In all they took about 110 tourists. In 2016, they took 93. "The rugged landscape, the ancient history crossed with tough yet incredibly hospitable people is an intoxicating mix," Wilcox said in a statement.